Hammers boss Will Pottinger admitted that his side were “so near but so far” from grabbing a result at Glasgow. The Essex side went down 51-38 at Ashfield tonight despite a sensational display from the top three. Pottinger said: “It’s very frustrating to come all this way and get nothing. It’s a tough place to come and they were on form tonight. Hammers’ top three of Morris, Ellis and Lawson were in terrific form but back-up was lacking with Newman only just back from injury. 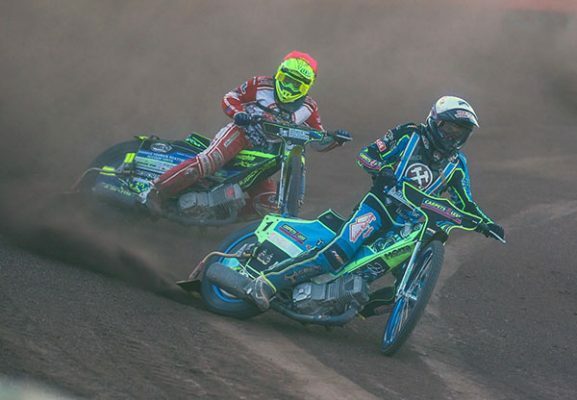 But the heat-leaders kept Hammers in the clash until Heat 14 when a home 5-1 from Sarjeant and guest Ben Barker wrapped it up for the Tigers. Lawson and Morris held off a fierce challenge from Richie Worrall in the next race to reduce the deficit. But the Tigers wrapped it up thanks to hero Sarjeant in the penultimate race. James Sarjeant 12+1, Ben Barker 11+4, Paul Starke 9+2, Chris Harris 9, Richie Worrall 9, Jack Thomas 1. Nick Morris 12+1, Richard Lawson 11, Adam Ellis 9, Kyle Newman 3, Ben Morley 3, Alfie Bowtell 0, Ben Hopwood 0.